My private Arabic classes (Egyptian Colloquial) are 2-hour sessions, twice a week at a little place called Arab Academy. Those 16 hours a month, plus a free daily online course, plus books… all are available for $130 a month. Quite a deal. That’s only about 8 bucks an hour for one-on-one instruction walking distance from my apartment. I like learning Arabic, love the beauty and the challenge, but the scary clown I have to look at during the daily online lessons needs to go. My Arabic teacher, a kind and humorous guy my age, refuses to teach me the Arabic word for ‘dumb’ because he refuses to have me put myself down. So I do not have the tools to be negative. Now that’s a good teacher. Beyond Arabic, I have also had some stellar lessons in Egyptian Harassment. Followed for a mile as I was walking by a creep in a blue Peugeot practicing his English pick-up lines. An older man spat on me to the laughter of his son. Actual spit. Then a group of guys in their mid-20s started mocking me with smacked lips and “hunky dories.” Sigh. When I posted these stories online, it spurred much dialogue about pigs and cultures. It got me thinking about if I should be sharing these negative experiences at all, just in case someone is influenced in a way that emboldens stereotyping, misunderstandings and fears. But I have had few very negative encounters here. I plan to keep sharing it all. So when staff at my alma mater Millikin University asked me to clarify for them what PHUB means, I felt honored to explain. The staff kept seeing this acronym on protest signs from the Middle East and North Africa. It means Peace Be Upon Him and often but not always follows the name of Prophet Mohamed. 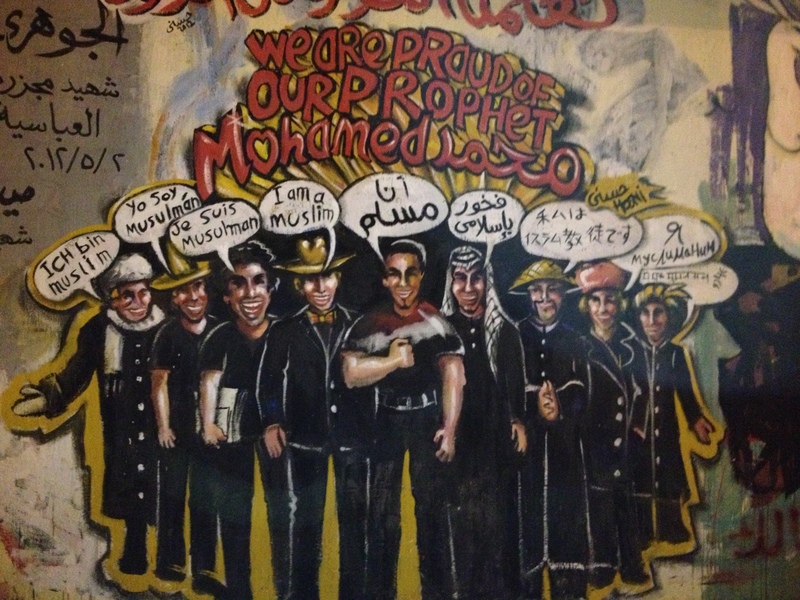 Newly painted mural in Tahrir Square. “We Are Proud of Our Prophet Mohamed” with an international approach. This is election time in the U.S. and it is a time for us to share lessons on democracy, freedom, the issues, beauties and challenges. A few days ago I happily read that even the U.S. Embassy Cairo continues to opens its doors to Cairenes to host interesting lessons. Join us at the U.S. Embassy’s Information Resource Center every Thursday to watch an episode of the award winning American television drama, “The West Wing.” Each episode will be followed by a discussion with an American representative who will take you from the presidential campaigns and the primaries, through the conventions and the debates to Election Day. Come and explore the U.S. elections with us! During “ballot drop-off day” here in Cairo, there was free drinks, snack, stickers and mini flags. 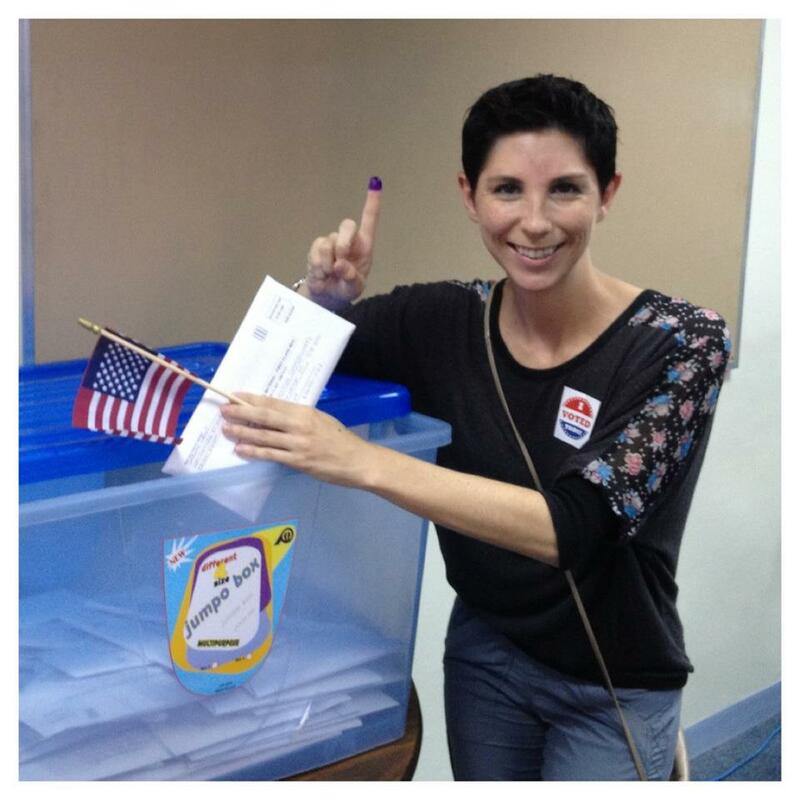 And yes, they were blasting “Born in the USA” as I secured my ballot and dropped it in the plastic tub. I’m a big nerd. I bought an ink pot at the bookstore in order to vote Egyptian style. The Egyptian man working the door loved it. As did the people behind me in line. So I left the ink for them. I wore my inked finger and “I Voted Today” sticker all day. This drew subtle smiles and acknowledgments from strangers and friends alike. Lessons in electoral nerdiness. The last lesson I’ll share with you is on music. If you are planning dance parties for children and teens at a cancer hospital in Egypt, you should add the following artists to your playlist: Mohamed Hamaky, Nancy Agram, Ahmed Mekky, Mahmoud El Esely, and Mahamed Fouad. And when you meet musician Ramy Essam, you risk some social points and ask for a picture. 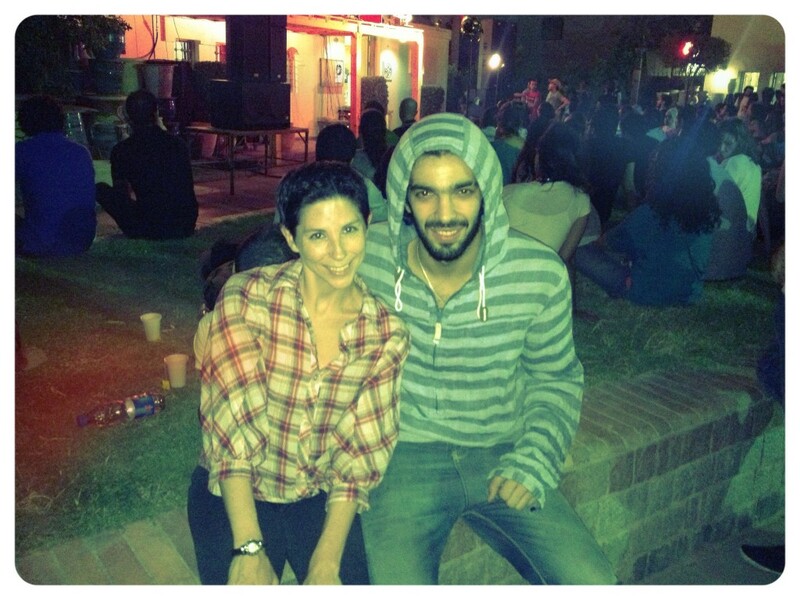 ►During the January 25 Revolution, Ramy came to Cairo to participate and camped on Tahrir Square. He composed the crowd’s anti-Mubarak chants with his song Irhal [Leave] which became an anthem of the protests. ►On the 11th of February 2011 Mubarak finally got the message to ‘Irhal’ and was forced to resign. But Ramy was identified as an agitator, arrested and detained for four hours, during which time he was beaten and Tasered. On March 9th the army stormed the square, ripping down tents and arresting more than 100 people, including Ramy. Men in army uniforms dragged him to the Egyptian National Museum, which had become a security headquarters. ►But that didn’t stop Ramy from fighting for what he believes. Ramy has performed across Egypt and in Britain, South Africa, Sweden, and Germany. He was also featured on ’60 Minutes’ and other media. ►Time Out London Named Ramy Essam’s song Irhal to be one of the 100 songs that changed history. Ramy was Third on that list after Public Enemy’s Fight the Power and the 1984 anthem Do They Know It’s Christmas. It is now 3:59am and I’m watching the Presidential debate live on CNN. The talk is of schools and unemployment. So I will simply end this post with a recent Tweet of mine.